When I went to college for the first time, I was completely overwhelmed. I felt like I was being forced to let go of my childhood. All the students seemed happy; they gathered in circles, instinctively picking out peers to befriend. As college went by, I found myself comparing memories. I compared my childhood with my young adulthood. I wondered why I had found so much love at home and so little at college. My memories became dangerous; they trapped me in anger and kept me attached to my ego. 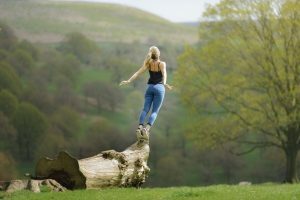 I became angry at myself for holding onto my childhood; why couldn’t I enjoy my “adulthood?” I was in danger of becoming bitter; I felt as though I was pitted against the world. Our memories are sometimes dangerous, but they also have the potential of being extremely liberating. If we learn to see the world in all its complexity, we can look at our memories with detachment and honesty. The ancient Buddhist poets Issa and Ryokan both experienced the sadness and isolation we sometimes feel in college. Yet, instead of becoming bitter and self-pitying, they learned from their pain. Both men learned how to “become children” again; they learned how to live in the present. Childhood is not something that is lost suddenly; it fades away, and at moments, it shines through. Issa and Ryokan taught me this. I have learned how to cultivate the freedom and appreciation children feel for every moment and keep this vivacity alive throughout college and on into adulthood. It is only pain that threatens to destroy the passion we all have for life. Here are the important lessons I have learned from them to help put college into perspective. Issa has profound insight into the nature of the world. 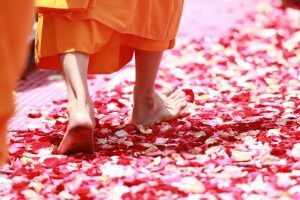 He believes we “walk on the roof of hell/gazing at flowers.” Most humans only “gaze” and hope for happiness, instead of reaching for it. 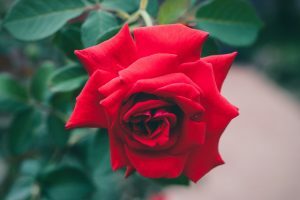 We look backwards and forwards in time, waiting for the next “flower,” instead of appreciating the moment, whether the moment is painful or pleasurable. We look forward to college weekends, instead of enjoying the day in front of us. It is often difficult to see that time is not linear; we are not trapped on Earth, waiting to reach something greater. We are simply living every day as it comes, attempting to be present in every moment. It is natural that some of these moments will be painful and some will be joyous. Though college can be extremely stressful, that does not mean we should avoid these painful moments. Issa uses his memories as fuel to help him understand how to live a meaningful life. Even in a poem Issa wrote about his deceased daughter, there is a simplicity and a sense of peace. Issa recalls the “scarlet flowers/she liked to pick.” He gives no reflection; he simply remembers his daughter and her love of flowers. He seems to learn from the simplicity of his daughter; it is important to love the flowers and to be happy in the moment. Issa reflects on the past, but he does not get stuck in it. Issa seems to understand that being “here” is all you can be. The snow will fall and life will always continue. If you are a part of this world, you have a duty to be fully “here;” if you are not, you are missing out on life. In their self-healing, both Issa and Ryokan come back to images of children and the relationship between parent and child. This sacred relationship captures the complex nature of the world. The past is always disappearing, making room for the present. Yet, remnants of the past always remain. In modern society, we often see a clear separation between “child” and “adult”. We assume that, as we enter college, we abandon the immature child inside of us and become mature adults. However, as we age and move away from home, we are continuously tempted by the world; college tempts us to see ourselves as independent and egocentric. Like flowers, children bloom. The world is always unfolding and bringing new things in and out of being. Ryokan refers to the “three thousand worlds,” or the multiplicity of the world we so often see as singular and linear. There is no objective world; we all have our own lives, and our lives are intertwined with the lives of everything around us. Ryokan appears to understand that there is no “winning” or “losing;” life does not pit the ego against the rest of the world. Likewise, we are not competing with our fellow students; it is not us versus them. Ryokan knows that “if we gain something, it was there from the beginning” and that if we “lose anything, it is hidden nearby.” This mantra applies to perfectly to college life. If we experience joy, we must appreciate this joy, yet we must be careful not grow attached to it. 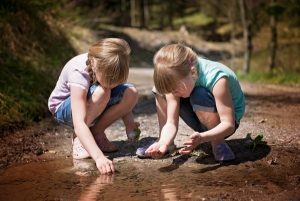 We must love the feelings and experiences of the current moment just as children do. 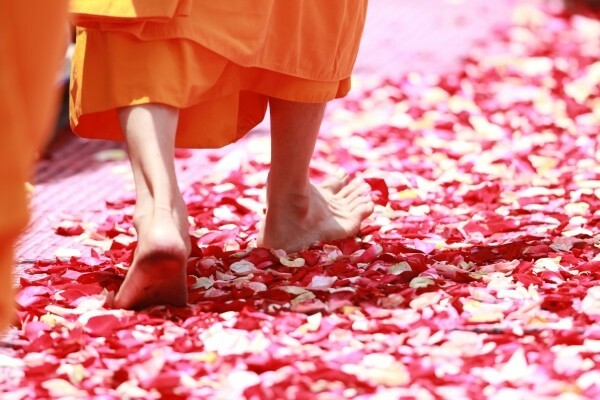 When we lose something, we must accept this and not curse the world for taking something away from us. Time is not linear; things that are lost will eventually be found. Perhaps we will recover what is lost in a different form, just as Ryokan did. As Ryokan aged, he seemed to grow closer to his youth. He spent his time with children, laughing and thinking about how time passes and how people change. We are all capable of recovering the innocence of our childhood and the joy we had as children. Both Issa and Ryokan warn us that we must not let our memories consume us. We must not live in the past or in the future; there is only the present moment. As we go through college, we cannot look back; we can reflect on our past, but we must always remain present. In our moments of sadness, we must follow Issa and Ryokan’s lead: we must use our pain to create something beautiful. These poets found a way to honor the beauty of the world and accept the pain. Issa believed that “this world is like a rope, flailed with strands of joy and anger, pain and pleasure. All that meets will part.” Many call Issa a cynic, but truly, he is a realist; the world is filled with unbelievable happiness and unbearable pain. Sadness is an essential part of life; it reminds us that we must cherish every moment. We must live by Issa’s example and use our “cynicism” to make our lives honest and beautiful. We must also follow Ryokan’s lessons and learn to love every moment for what it is. Childhood is not something that must be forgotten as you grow up. Childhood may fade away, but, at moments, it shines through us all. We must cultivate the freedom we enjoyed as children and the passion children have for every moment of life. 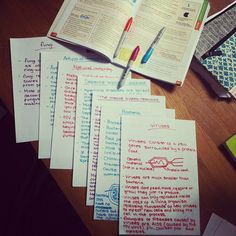 Everyone knows the basic studying tips: note cards, reading and notes. These are cookie-cutter study tips everyone knows, but they don’t always work for everyone. These tips below are variations on the basic tips and allow you to make studying fit your personality! If you make your studying habits your own, this allows you to learn and understand the material, instead of just memorizing it. The basic version is to write a word on one side and the textbook definition on the other. 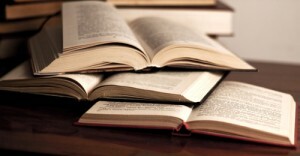 Instead, try reading as much as you can stand about the topic: read the chapter, an article, etc. 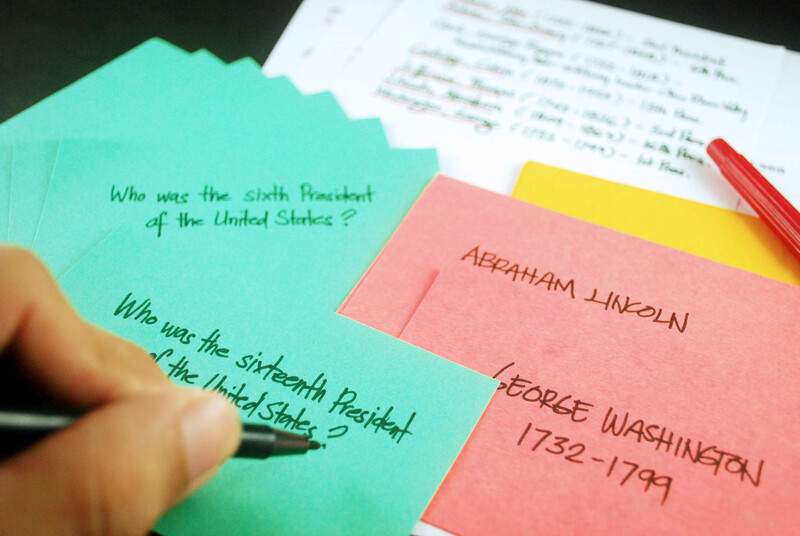 Once you feel like you’ve got a grasp on the topic, that’s when you write your note cards out. Write the note cards in your own words and in whatever style fits you better: lists, prose, shorthand, anything. Why it Works: If you understand a topic before you write about it, or take notes on it, the notes then become a review-not a lesson. Reading the textbook is a necessity to taking most classes. Studies have shown that just reading the textbook and rereading it until you know it is one of the least effective ways to learn material. So, this tip is for anyone who doesn’t like notes or note cards, and just reads the material. Read something other than the standard textbook. Read the material in the book for the class and then find another source-be that another book, an article, a documentary, or YouTube video about the topic- and study that one too. Sometimes reading the same book written in the same voice causes people to zone out while studying. Don’t zone! Why it Works: Supplementing your reading with other sources will give you a better idea of the material and be more familiar with it. Notes can be basic: you write down things you think are important as you read. This works for some people, but for others its just going through a motion. Instead try a similar tactic to the note card strategy: read in its entirety and then take notes. Write the notes in your own words, and write them as if you’re explaining it to someone else. Why it Works: When you’re going back through and reviewing the notes, you’ll be able to easily understand them and follow the material without having to crack the book open again. These are variations on studying tips I’ve found to work for me.Understanding the material is the best way to remember it. Good luck hitting the books! Comment below if they helped or if you’ve found variations of your own. We know you’re busy writing essays, taking final exams and dreaming about summer break but if you get a craving for a good book, check out some of these popular titles that you need to read in 2015! Written by popular young adult author John Green, Paper Towns is the story of Quentin who has loved Margo since elementary school. Unfortunately, Margo has ignored Quentin for the majority of their high school years. That is, until she shows up at his window just weeks before their high school graduation and they spend the entire night together pulling off a series of revenge-fueled pranks. Margo disappears the next day and Quentin, along with his two best friends, are determined to follow the clues Margo left behind. While the book Paper Towns was first published in 2009, it tops our list of Books You Have to Read in 2015 because Paper Towns is coming to the big screen soon! 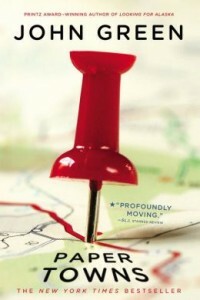 Paper Towns is coming to theaters July 24th, 2015! Watch the trailer here. 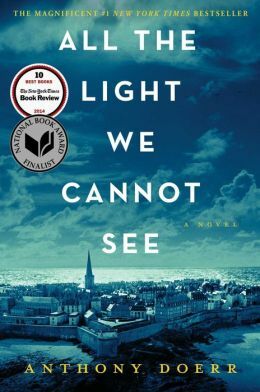 Described as “hauntingly beautiful” by The New York Times and recipient of the Pulitzer Prize, All The Light We Cannot See tells the story of a blind French girl and an orphaned German boy whose paths cross in occupied France during World War II. Werner, the young boy, is incredibly gifted at mathematics and earns himself a spot at an elite Nazi training school. Marie-Laure, blinded at the age of six, has fled from Paris with her father and a highly sought after sapphire from the Museum of Natural History in tow. 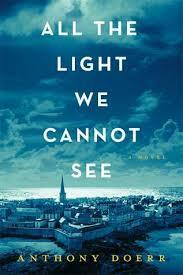 The story that Anthony Doerr has created is far too complex to explain in a few short sentences so to find out the fates of Werner and Marie-Laure you are going to have to read this book for yourself! Critics are buzzing about Go Set A Watchman, Harper Lee’s earliest known work. Believed to have been lost, the manuscript for Go Set A Watchman was re-discovered in late 2014. The story follows up with many of the original characters from Harper Lee’s well-known classic To Kill A Mockingbird 20 years after the story ends. 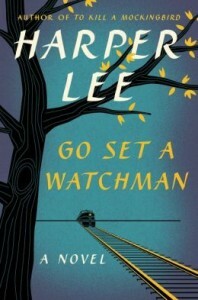 Go Set A Watchman is scheduled to be released on July 14th, 2015. 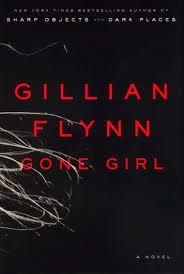 If you loved Gone Girl by Gillian Flynn, you will love this book! This psychological thriller follows our main character Rachel as she rides the commuter train each and every day into London, even after she is fired from her job. Through the train window, Rachel sees the same houses and the same people in their yards every day and begins to feel like she actually knows them. She gives the people names and imagines what their jobs and lives are like. While looking out the window one day, Rachel thinks that she sees something happen to the girl she has named “Jess”. 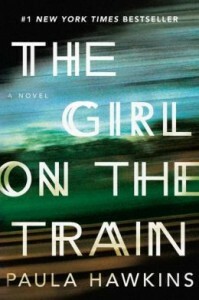 When news stories about a missing girl named Megan (who turns out to be “Jess”) start surfacing Rachel decides to tell the police everything she has seen from the train window. Did I mention that Rachel is drunk for most of this book? That puts an interesting spin on things when an unreliable drunk shows up at the police station with information on Megan’s disappearance. The twists and turns of this story keep you guessing not only “Who did it?” but “What actually happened?” right up to the last page. Being the President of the United States is a tough and very public job, but what do we really know about the on-goings of the first family when the cameras are off and the world isn’t watching? In this 2015 release, we hear from employees at the White House that have been there day in and day out through ten different administrations over a span of fifty years. 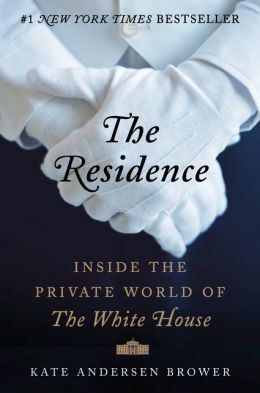 Written after hundreds of hours of interviews with butlers, chefs, florists, maids and other White House staffers, we catch an inside glimpse of what life was really like at the White House from the Kennedy Administration, through the days of Nixon and Reagan and the scandal-filled Clinton years, all the way up to the current first family, the Obama’s. Bestselling author J.K. Rowling, best known for her Harry Potter series, gave a very moving speech during commencement at Harvard University in 2008. Now available in written form, this speech doles out words of wisdom for anyone who has come to a crossroads in their life. The perfect graduation gift or perfect for when you need a boost of inspiration and motivation, Very Good Lives does not disappoint. 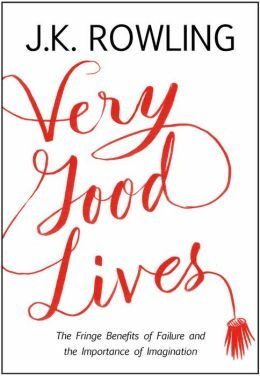 Proceeds from the book will be donated to J.K. Rowling’s foundation Lumos, which focuses on ending the institutionalization of children worldwide. Find more information on Lumos here. 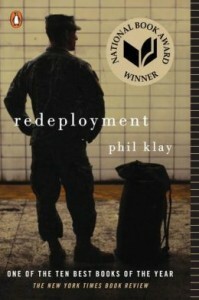 Redeployment, winner of the 2014 National Book Award, describes the unseen lives of an American soldier on the frontlines. Author Phil Klay is a U.S. Marine Corps veteran and uses his experience in Iraq to tell a story that civilians cannot even begin to imagine as truth. This book is sure to leave you with an undying gratitude for those fighting overseas as well as a new found outlook on exactly what it takes to fight for your country. 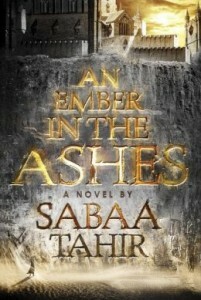 Readers have been patiently waiting for this debut fantasy novel from author Sabaa Tahir to be released and the wait is finally over! This novel, just released on April 28th, has been described by early reviewers as having “the addictive quality of The Hunger Games, the fantasy of Harry Potter and the brutality of Game of Thrones.” We can’t wait to get our hands on this one! What books are on your list to read this year? Let us know in the comments! Arguably, one of the most buzzworthy books of the first half of 2014. Its popularity skyrocketed almost overnight, gripping its readers and tearing at their heart strings. It was originally intended for young adults, but college students and even older adults have relished in this tragic young love story. Therefore it’s not surprising that the book was both successful in print and at the box-office. Almost as soon as its release in May, this book has been on many best sellers lists (and rightfully so). It carefully weaves historical fiction to the backdrop of war to create a hard to put down read. For those who cannot get enough of World War II history, this may certainly be the book you’re looking for. 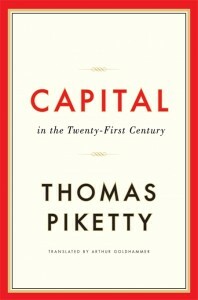 A bestselling book on economics and development? This certainly does not happen every day. 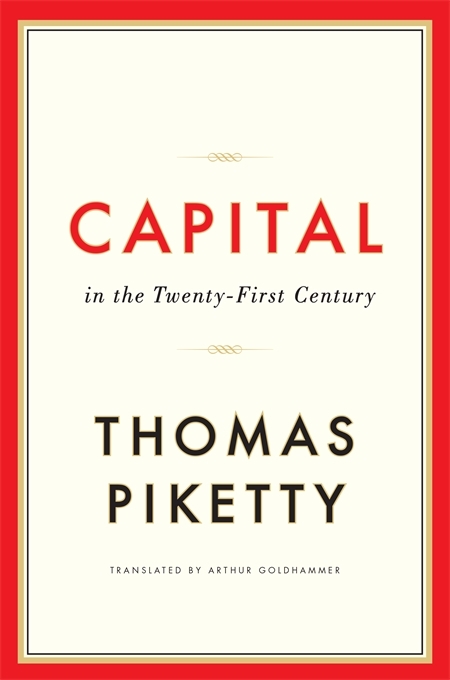 Piketty brings fresh, easily understandable language for those who are unfamiliar with economics and blends it with interesting concepts and charts. This overtly large book (it’s close to 700 pages) have kept readers engaged and thus lifted itself to the top of the nonfiction best sellers list. This mysterious thriller is sure to leave you at the edge of your seat with the many plot twists and suspenseful circumstances that can only be found in a book by Gillian Flynn. This book has been receiving lots of buzz lately. 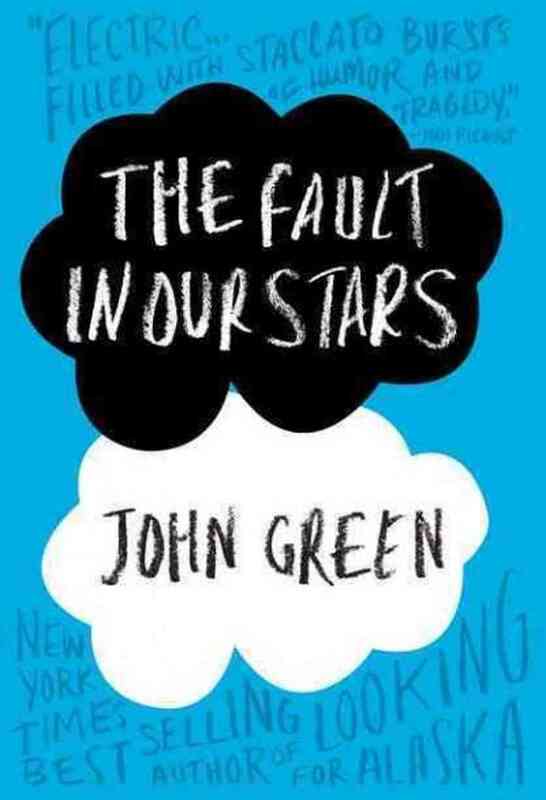 It has a movie in the works and has been on bestsellers lists since its release. 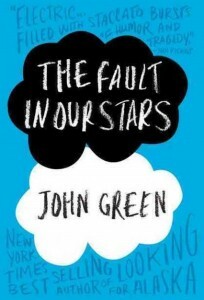 An extremely smart novel whose popularity has been unmatched in recent years. 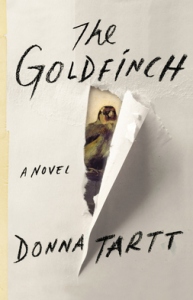 Donna Tartt successfully brings the reader into the time and place, allows them to feel emotions portrayed and brings all her characters to life. It’s no wonder that the Goldfinch has been given praise for all over the world. With the latest in mobile technology, tablets are now transforming higher education through multi-touch displays. Aside from social interaction, this technology can’t be ignored in hands-on learning, as they provide what most educators refer to as tactile and intuitive interface. In a 2012 Pearson Foundation survey, it’s revealed that tablet ownership among college students and college-bound high school seniors have tripled. 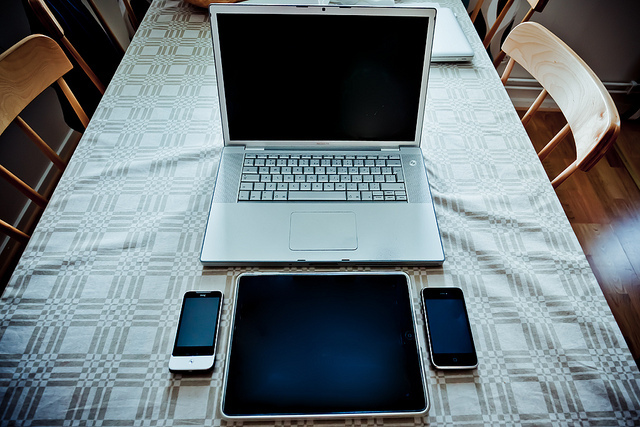 Fast forward to 2014, you can now see students carrying multi-touch devices freely in campus. However, students tend to misuse them, exhausting it for non-scholastic endeavors. In this article, we’ll try to get rid of this idea by giving you valid reasons to integrate multi-touch screens in the classroom. Despite the availability of tablets from Apple, Samsung, and Google, tablet technology still hasn’t reached its pinnacle. Multi-touch has laid out its plan of a new interactive display that allows you to interact with real-life objects through the Enriched Reality. Reportedly, Enriched Reality is a series of displays, which detect every object it interacts with, including the ones placed on the system. Ideally, you’ll be able to use your fingers, hands, and pens to navigate the Enriched Reality, which initiates a collaborative approach with your professors to shed light on a specific topic. It also has networking capabilities, social media integration, and third party application hosting to continuously use your productivity apps. “Learning is no longer just a linear process but one in which all information is connected seamlessly and visually, displayed on a high-definition screen,” Verizon Wireless wrote, stressing the importance of tablets in higher education. The article highlighted the importance of organizational applications, paving the way for a deeper way at which you can think and present information. The company said that there are plenty of applications which you can use as a student presenter, wherein you’ll reinforce your class report with stunning film graphics, videos, documentaries, and games to engage with your classmates through play. Also, you can now communicate freely with them, as well as ask for initial assessments and evaluations. Aside from Math and Science, Mark of Edudemic discussed the importance of a multi-touch device to help you excel in language classes. For one, there are digitized pens which you can use for writing, especially in getting all requirements done on the go. Another reason is that most manufacturers have now equipped their devices with an advanced palm rejection feature. It allows you to rest your hands in the middle of the task, without necessarily affecting productivity. While texts and diagrams clutter on your screen, this feature still allows you to access movable icons of specific applications. Going to college, especially abroad, is also equivalent to investment. Thus, you have to save enough money. While buying a multi-touch tablet is also a wise investment, the same Verizon article mentioned above said that they are less expensive than laptops. You’ll also get savings from e-books. For instance, you may resort to a Kindle alternative of Martin Tovee’s An Introduction to the Visual System, which costs $33.60, as opposed to the physical version costing around $130. These devices are flexible – you can use it solely for classroom purposes or for entertainment. While reading a required e-book, students are still able to socialize through the social network integration to find encouragement. In the education system, Han pointed out that these devices are aimed to resolve user interface issues such as the “fat finger problem” (pressing multiple buttons due to large fingers). Whether in the classroom or not, you can still touch the displays for remote collaboration with your teacher and peers. This is in line with the true essence of Perceptive Pixel Technology – broadcast and geo-intelligence. The good thing about multi-touch technology is that it improves every second, thus the chances of using it in the classroom has become limitless. Do you have other ideas on how to use this tech solution in class? Share your thoughts below. As an online student, Kyle Albert has the knack of strategically using mobile devices in terms of collaborating with instructors and peers. For him, a tablet is a one-stop repository device, as it can replace a standard laptop on a number of ways. Reach Kyle on Google+.